Balancing the books a bit - I love my CLK !!!! Discussion in 'General Discussion' started by thebiglad, Sep 16, 2018. Most of the time owners and interested parties of a particular brand of car go to the internet and forums to pick up advice and info about their cars or ones they would like to buy. As such most of the content they encounter is "Got a problem with ...................." so as it's such a beautiful day here - 29° - and I'm driving around in my lovely CLK, I thought I would like to try and balance the books a bit more, towards the positive. I picked up my 2005 CLK 270 cdi auto Elegance with 120,000mls in London last Saturday and drover her straight home to France. I cruised at about the speed limits so as to get to know her and not stress her on the trip home and she rewarded me with a fuel consumption over the 1000 kms journey 58 mpg - according to the dashboard computer. Not bad at all I thought, but it's all motorway so lets not hope for too much on a day to day basis. This has turned out to be false as, if anything she is better on our local A-roads. Absolutely stunning mpg or as we say over here ltrs/100 kms. OK, so she's good on fuel. The previous owner had done quite a bit of servicing work on her recently so I don't need to get the tools out just yet. But how does she look, feel and most importantly how does she make me feel. Well today I feel particularly well equipped to answer these questions as I've just had a most pleasant drive where I started to "examine the performance envelope" - not economy running today !!! Well I'm delighted. Not only does she have more than enough get-up-and-go, but it's done with such an air of assurance, confidence and pleasure. 1. How does she look ? - really pretty, chic, sophisticated, pleasing. 2. How does she feel? - Just great! Really together, well sorted, safe and competant. 3. How does she make me feel? Like like motorbike makes me feel and that is very good indeed. So to summarise, I'm a VERY happy bunny. SL500AMG, Ted, Vick N and 4 others like this. 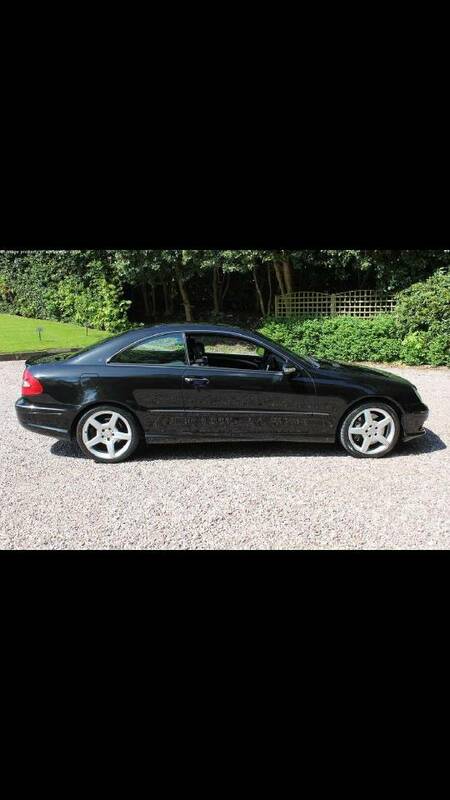 Glad you like it, i also have my 1st merc CLK320 CDI sport & i love it, windows down every chance i get. The V6 is a gem, i was going to have a 5.0v8 but held off (for now) & welcome aboard by the way. Eddy77 and thebiglad like this. Had mine over five years now and still feel special when I drive it. Eddy77, brucemillar and thebiglad like this. Smart320, DSM10000, thebiglad and 1 other person like this. That is beautiful Ted, I particularly like the oxblood interior. So you're a biker as well then Ted - good on you !!! Love that you've made a half hearted attempt to hide the orange one away, it looks like you are trying to pretend that it belongs to a neighbour. I've always had a soft spot for the CLK and more so the Sport versions. Seem such good value for money for what they are and how much they can be picked up. Hi Mark, that looks really nice. Does the drop top still work properly? I've heard they can be a bit er what's the word - challenging ? Oh go on then! Here’s mine! To me they have all the hallmarks of a future classic. Achingly pretty cars imho! Ted and thebiglad like this. Oooh errr missus Eddy, that looks nice. I agree with you about timeless classic - I really do think they love beautiful, in their various versions. I love mine so much that I’m about to spend a fair bit £££ on bringing it back to factory fresh. It’s already 95% but I want it to be 100%. Planning to respray bonnet due to bird poop damage, also considering replacing all suspension springs and dampers to tighten her up a bit as she feels a little bit wooly at ten years old. I know exactly what you mean - they are worth holding onto.